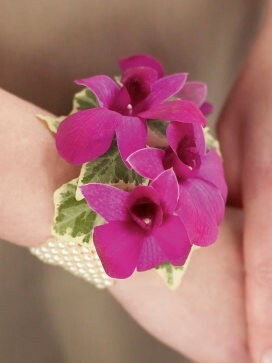 This perfectly purple orchid wrist corsage is the perfect way to accessorise any outfit! 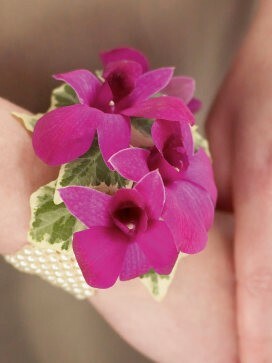 Create a splash of colour that not only looks good but is full of exotic wow factor with this elegant, bold and beautiful purple dendrobium orchid wrist corsage. Add some natural glamour and stylish sophistication with this hand-set purple orchid and elasticated pearl bead wristband.